The view of Capitol Street from one of the Castle Peak Senior Care assisted living apartments. In an effort to recruit and retain staff, Castle Peak offers employees temporary housing in assisted living units that are not yet occupied. EAGLE — For decades, employers in the eastern part of Eagle County have used housing options as a way to recruit and retain employees. That strategy is moving westward with two downvalley employers — City Market and Castle Peak Care — now offering housing units as an employment lure. City Market recently took over a master lease on a number of the Gypsum Plaza Suites, located east of Eagle Valley High School and south of U.S. Highway 6. At Castle Peak, temporary housing is offered in three Sylvan Square units master leased by the care center. Additionally, employees can find temporary living quarters within the facility itself, renting out assisted living units that are not yet occupied. As challenges go, the challenge of finding affordable housing in Eagle County is a huge one, noted Augustana Care Director of Communications Jenna J. Zark. The Minnesota-based nonprofit owns and manages 23 senior-care projects around the country. As reported by housing-data company RealtyTrac, close to 140 percent of the average wage is needed to make monthly mortgage payments on an average-priced home in Eagle County. 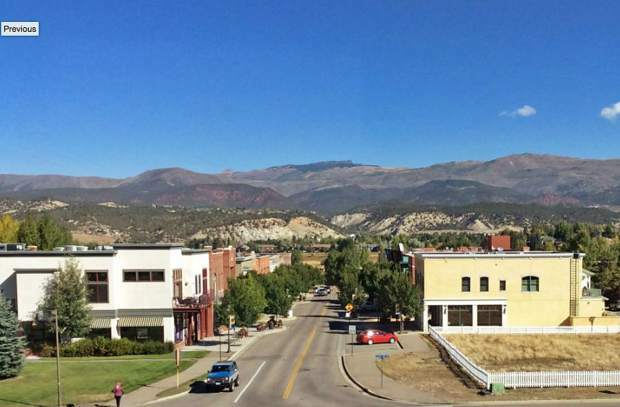 What’s more, Eagle County’s own housing study shows rental rates are also prohibitively high, with 46 percent of local renters paying too much of their monthly income for rent. Zark noted that Castle Peak employees often come from more affordable areas such as Delta, Grand Junction, Montrose, New Castle, Rangely, Rifle and Hotchkiss. Employees must drive long routes that are difficult to navigate in rough weather. Even on the sunniest days, Castle Peak staff members may have to spend hours on the road. For certified nursing assistants Nicole Cambria and Edith Keating, having access to housing is a significant factor in being able to work at Castle Peak. Cambria has stayed at one of the condominium units. New employee Keating said she would not be able to work at Castle Peak without access to housing. “I live in Hotchkiss, which is at least a two-hour drive away,” she said. Castle Peak officials said winter driving conditions mean housing is especially important during winter months, but they noted rental prices tend to be high all year long. With Castle Peak now opening its memory care neighborhood, the facility’s capacity to house employees is even more essential. “Our priority is to make sure when employees need housing, they have it,” Martin said. “Taking this added step of being proactive with housing helps ensure that we are ready to go and able to provide excellent memory care,” Dewton said. City Markets in Eagle County have long known that their ability to staff stores is dependent on employees being able to find a place to live. In the Vail and Avon area, the supermarket chain has more than two dozen employee rental units. “The available units change based on a variety of factors intended to meet the needs of our associates and business,” said City Market Spokesperson Adam Williamson. Williamson said the number of units available in Gypsum will also be based on the company’s need. But the company’s experience in the high country has been that the need is definitely there. Providing housing shows employees that the company is willing to make an investment to assist its people, Williamson said. “At City Market, we recognize that our associates are our most valued asset and this is another way we are investing in them and their future,” Williamson said.